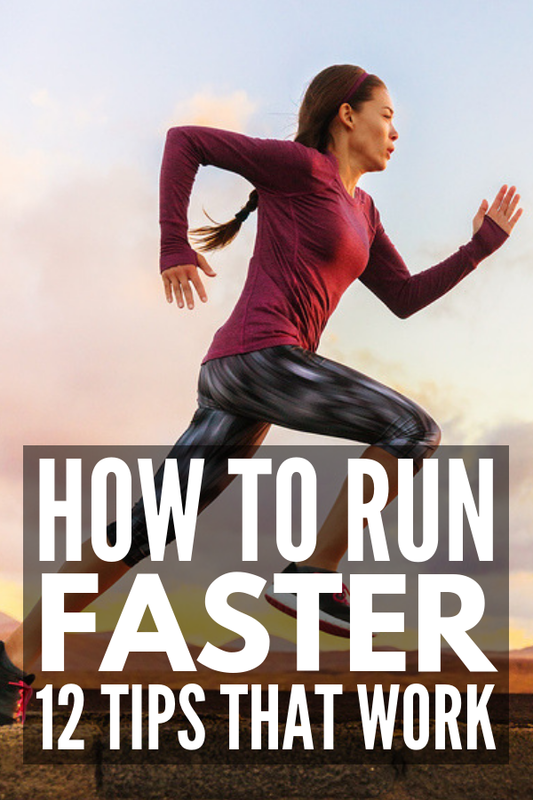 Whether you’re a beginner runner or have been running for a while, you may be wondering how to boost your running endurance and speed. It’s great to be able to run, but many runners want to be able to run at a fast pace for a long stint. If that sounds like you, check out our best 12 tips for runners to increase your stamina and speed! Endurance is your ability to exert yourself over a long period of time. Running endurance can be improved by consistently running multiple times per week, and increasing the time and distance you run. Speed endurance is your ability to run for a prolonged amount of time at your maximum speed. The goal of speed endurance is to help you maintain a higher work rate for a longer time period as you run. If you want to improve running stamina, practicing proper breathing techniques is key. Here are the three techniques you need to know. Ever wonder what that large muscle is at the base of your lungs? It’s your diaphragm, and when it’s engaged, you’re able to breathe more efficiently. This is how you can strengthen your diaphragm and allow more oxygen into your lungs. How to do it: Lie down on your bed and place one hand on your chest and the other below your rib cage. Breathe in slowly through your nose, and you should feel your stomach rising while your chest stays still. Tighten your stomach muscles and exhale through pursed lips. Deep belly breathing is another way to get your lungs ready for a run and increase your stamina. How to do it: Lie on your back with your knees bent and feet on the floor. Place both hands on your stomach, taking a deep breath into your stomach, rather than your chest. You can tell if you’re doing it properly if your hands rise and fall as your stomach fills with air. Do 10 breaths before you run. Unlike the other two breathing techniques, rhythmic breathing is done while you’re actually running. With rhythmic breathing, you coordinate your breaths with your foot strikes, allowing you to breathe easier for longer. The goal is to alternate the foot that hits the ground while exhaling to reduce stress and injury to the body. How to do it: First things first: When you’re running, always make sure that you’re breathing into your belly instead of your chest. Create a breathing/running pattern that works for you (a popular one is inhaling for three strides and exhaling for two). Try out different patterns and practice until you find one that works for you! Did you know nutrition also plays a key role in increasing your running stamina? Here are 6 of the best foods to eat to boost your stamina. Bananas are super high in energy and nutrients, offering the perfect snack pre-run. A rich source of potassium, complex carbohydrates and fibre, they boost your energy and also increase the release of dopamine, the feel-good hormone in the body. Almonds are a great way to boost your health in general, and due to their high content of omega 3 fatty acids, they’re an excellent source of energy and don’t accumulate in your body, slowing you down. They’re also rich in vitamin E, helping you build strong bones, improving your heart health and nourishing your brain. Brown rice is one of the best complex carbohydrates, which are key to better stamina. Complex carbs release energy slowly into the blood, ensuring optimal energy levels throughout the day. As well as being a complex carb, brown rice is also rich in fibre and vitamin B complex, which are essential for recovery. Eggs are amazing for runners because they help grow and repair muscle tissue, a key aspect of building stamina. They help you burn calories and feel full for longer. One of the best sources of protein in the world, eggs are chock full of nine essential amino acids that help keep fatigue at bay. Fish (especially salmon and tuna) are rich in protein, vitamins, minerals and omega 3 fatty acids. Eating fish benefits your heart health, brain and nervous system, and provides the lean protein required for optimal stamina levels. If you’re lacking stamina, it could be due to an insufficient level of iron. When you don’t have enough iron, there’s not enough supply of oxygen in the body and you’re more likely to feel tired and sluggish. Leafy green vegetables like spinach, kale and Swiss chard are packed with iron and fibre, aiding proper circulation of blood and oxygen to the body. Hill sprints are just what they sound like: Sprints going up a hill, and they’re one of the best stamina exercises. Sprint at full speed for 10 to 20 seconds on an incline, either outdoors or on a treadmill. You don’t need to find the steepest hill around, as long as you run on an incline, you can increase the incline as your endurance improves. Hill sprints are an all out effort that will enhance your stamina, and also help you run faster. Complete three to five reps, and take three to five minutes rest between each. Cross training with weight training is one of the most effective ways to boost your running endurance. Weight training allows you to use oxygen more efficiently while you run, increasing both your speed and endurance. Try free weights, machines or other weight training exercises three times per week. If you’re looking to enhance your running endurance and speed, try these tips for optimal results! If you loved this post on boosting your running endurance, please share this post on Pinterest! And if you want more awesome fitness tips, make sure to follow our Fitness Board on Pinterest!